Ukrainian Prosecutor General Yuriy Lutsenko has held a meeting with Prosecutor of the International Criminal Court Fatou Bensouda in The Hague. In his post on Facebook Yuriy Lutsenko wrote that Prosecutor Fatou Bensouda noted a significant progress in cooperation with Ukraine’s Prosecutor General’s Office (PGO). “Our delegation discussed prospects of joint investigation into crimes against participants in peaceful protest events on Maidan [in 2014], war crimes and crimes against humanity in Donbas and Crimea as an unbroken chain of crimes committed by the mafia structure of [ex-President Viktor] Yanukovych and his Kremlin sponsors. Ms Fatou Bensouda stressed the value of information provided by the PGO and stated about a significant progress in our cooperation,” Lutsenko said. 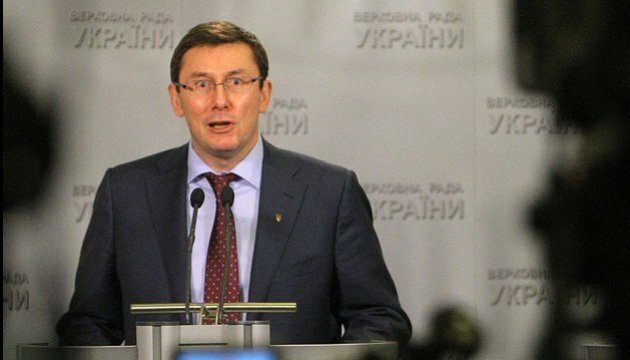 According to Lutsenko, during the meeting with the prosecutor of the International Criminal Court, he thanked for the clear position regarding the recognition of Russian aggression in Crimea and Donbas.